AdF.ly - Knowledge Base - Advertising - Advertising - Can I choose a specific day for my campaign to be displayed? Can I choose a specific day for my campaign to be displayed? 3. 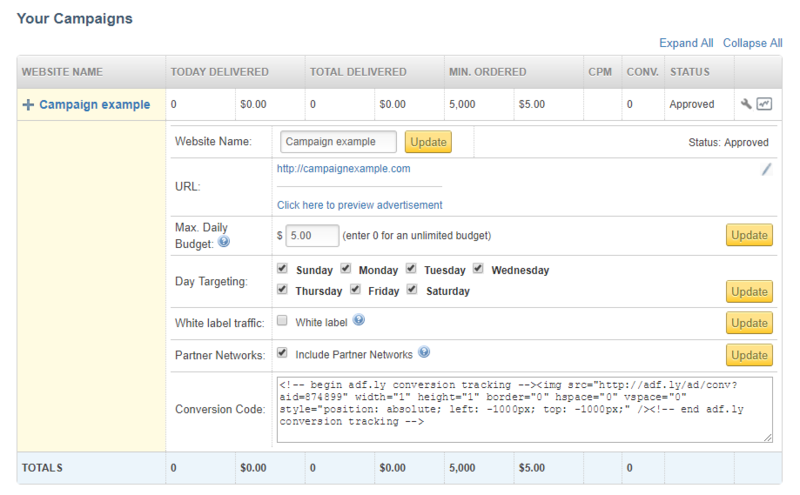 Go to the 'Day Targeting' field and tick the box next to the day(s) of your preference. Now the Status of your campaign will be 'Active' during the days you have selected. The rest of the days the Status will be 'On Hold'.